In 1966, Bill and Mitzi were the founders of VAST, known as the Vermont Association of Snow Travelers. Both have served as officers and directors of local clubs and the state association that they put together. Bill has served as a county director for two different counties. The organization is recognized as the first organization to thank landowners for the use of their property through radio and TV public service announcements, a project that Bill is active in to this date. Moving on to the national and international levels, the Oakes were the first couple to be inducted into the Iron Dog Brigade in 1981 and are still current members. Recipient of the George Eisenmuth Distinguished Service Award in 1993, named 1995 Snowmobile Family of the Year, founder of the Northeast Classic Snowmobilers, named eastern Director of the Antiques Snowmobile Club of America, Bill still finds time to be active in Veteran Affairs, Veterans of Foreign Wars and American Legion and other business related organizations. Mitzi has held the position of Treasurer of VAST for several terms along with duties from local clubs. On the national and international levels, Mitzi was the Chairperson of the 1987 International Snowmobile Congress held in Burlington, Vermont. She chaired the VAST scholarship fund for many years, writes regularly for the VAST news and authored a cookbook for VAST's 30th Anniversary. In 1999, she was elected Vice President of the Iron Dog Brigade and was appointed to the Vermont Governor's Snowmobile Advisory Council. Both Bill and Mitzi have received numerous awards and are recognized as pioneers of the sport of snowmobiling. 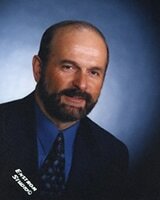 Roger began his association with the sport of snowmobiling in 1971 and continues to be involved. He was a charter member of the Castor Snowmobile Club in 1972, chairman of the 1975 Castor Snowmobile Jamboree was elected to the Alberta Snowmobile Association in 1978. He is also a consultant to the Off-Highway Vehicle Association. His willingness to promote and sponsor international fellowship among snowmobilers was a key to the success of the Trans-World Minnesota-to-Moscow snowmobile expedition. Roger was elected President of the Alberta Snowmobile Association in 1981, the same year he attended his first International Snowmobile Congress (ISC). In 1984, he was elected Co-Chair of ISC, founded MS Ride for Hope and was inducted into the Iron Dog Brigade. He was named Canadian Snowmobiler of the Year in 1985 and was elected Chairman of the International Snowmobile Council in 1986. Snowmobile Magazine named him "Most Valuable Snowmobiler" in 1987. The MS fund raising rides that Roger organized are still in the legendary category, riding from U.S. to Canada with members of many state and provincial organizations. Roger continues to be active in all aspects of snowmobiling on local, national and international levels. For his continuing efforts, he has received many prestigious awards for his years of service. Sponsored by the South Dakota Snowmobile Association (SDSA), Ron first starting snowmobiling in 1967, became a member of the SDSA in 1969 and has now been a member of the organization for over 30 years. He organized a snowmobile club in 1970 in Groton, South Dakota where he was living at the time. He was President of the Groton club for three years and under his leadership it grew to be one of the largest in the state. 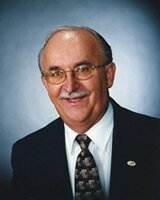 In 1974, Ron was elected Vice President of SDSA and served six (6) two-year terms as District Director. In 1994, Ron was elected President of the state association. He served eight (8) years with an appointment to the Governors Snowmobile Advisory Council under. Moving to Spearfish, South Dakota, he found that the local club had been disbanded so he began to rebuild it as it was located in the heart of all South Dakota snowmobiling. 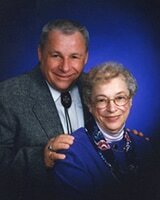 He served as President of the Spearfish club for four (4) years and brought club membership to 114 families. He became active again in SDSA and was elected Director, serving in that capacity until 1992. Ron was named "Most Valuable Snowmobiler" in 1983, South Dakota Snowmobiler of the year in 1986 and honored as U.S. Snowmobiler of the Year in 1992. He attended all but one SDSA state conventions and fifteen (15) International Snowmobile Congresses. Ron has assisted in the production of the Snow-Plainsman magazine, writing numerous articles for other publications. Ron continues to represent SDSA to the Black Hills Regional Multiple Use Coalition. In 1995, Ron was inducted into the Iron Dog Brigade, organized his third Snowmobile Club in 1997 - The Southern Hills E-Z Riders, and was named to the South Dakota Hall of Fame. He remains active, heading the Charity Committee for South Dakota Snowmobile Association. Nominated by the Idaho State Snowmobile Association, Chuck made snowmobiling his profession with the State of Idaho which gave him the opportunity to see snowmobiling from both sides. 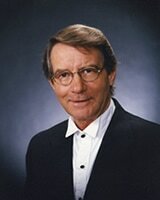 He has been an avid snowmobiler since 1971 and saw a vision in the future of organized snowmobiling. He set up and implemented a grooming program which now is a model for all of the United States and Canada. Chuck has traveled extensively to other areas to assist in setting up similar programs. Realizing safety was a key ingredient, he developed and administered the first snowmobile safety program in Idaho. An expert in accident investigation, Chuck is often called on to eliminate problems that arise around Idaho. As a lifetime snowmobile club member, he knows the importance of organized snowmobiling not only at the local level, but nationally and internationally. He has been honored for his professionalism with many numerous awards for career-related contributions and also for personal accomplishments to individual, clubs and state associations. As the author of many printed reports, articles and brochures, Chuck conducts many discussions, presentations and field demonstrations. Chuck continues to be involved in all areas of snowmobiling.